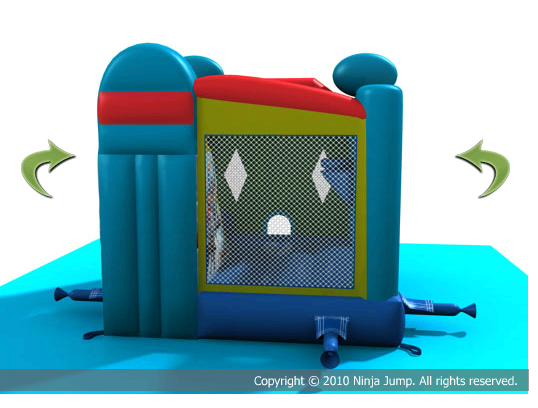 This amazing FunJump combo comes with four different activities for endless hours of playtime fun. 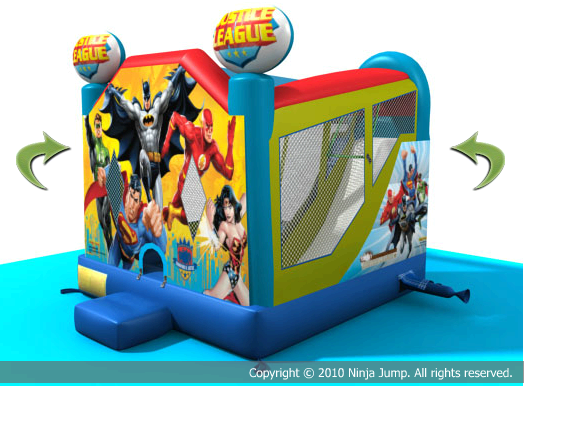 Justice League has a large interior jumping area and a basketball hoop for game play, and high-visibility mesh allows spectators to keep an eye on participants. The weight limit for this jump is 500lbs. This rental's based price is for 6 hours. If additional rental time is needed we do offer overnight rental which is 25% extra.